This is the first book with David Barnett's memorable character, Gideon Smith, that I've read. This book can stand alone so it wasn't necessary to read the first two books in the series, A bit mystery, a bit gothic, a bit steampunk, is the best way to describe this novel. 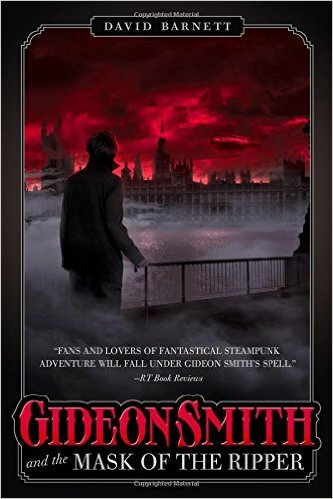 Gideon Smith is a daring character who sets off on an adventure to find The Ripper. The setting is an alternative, or dystopian Victorian London. There are plenty of fascinating plot twists that kept me reading as Gideon encounters one crisis after another while prostitutes are being horrendously murdered. Compelling characters are often not what they appear to be, and each chapter has something new to offer. Every once in a while, the author injects some humor amid all the dark mystery. The steampunk/dystopian setting may not appeal to all readers, but it is entertaining as long as one allows themselves to fall into the story.